We can’t wait to welcome you to camp! Find out what time to get here, as well as a few things to have on hand to make drop off and pick up smoother. Choose a camp below! Wondering when to come to camp? Select a camp from the list above to get all the details on drop off and pick up! Each camp has a unique drop off & pick up time. Please check times for each of your campers. We call it “Opening Day,” but it should really be called “Cheer Your Socks Off and Jump Up and Down Because Campers Are Here Celebration Day!” We can’t wait to welcome you and your camper to a week of non-stop fun and excitement! Our gates won’t open before 2:30pm, but feel free to show up early to get a spot in line. We’ll take care of your luggage and help walk you through check-in when you arrive. Turn in all labeled meds in their original container to the nurse. Loose pills are not accepted. Read more med guidelines. If you want, bring addressed shoebox-sized packages (limit of 3) and letters labeled with each day to deliver to your camper! Make sure your camper’s swimsuit and towel are on hand for their swim test. A week at camp goes by sooner than you know it, but that doesn’t mean the fun is over yet! 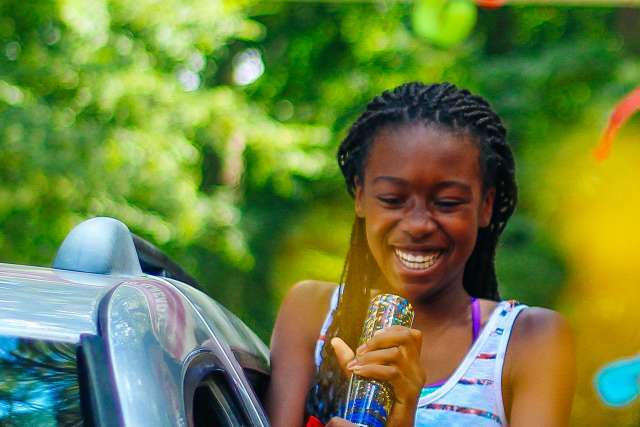 Before you leave, we want to celebrate your child’s week of camp through songs, action-packed videos, a message from the director, and a time of character recognition for your camper. You won’t want to miss this! Campers may only be picked up by their parent/guardian. Exceptions require a signed letter naming who will pick up your camper. A mini Pine Cove party for parents, special recognition for campers! Want to come back next summer? Save your spot before you leave! We call it “Opening Day,” but it should really be called “Cheer Your Socks Off and Jump Up and Down Because Campers Are Here Celebration Day!” We can’t wait to welcome you and your camper to a week of non-stop fun and excitement! Our gates won’t open before 3:30pm, but feel free to show up early to get a spot in line. We’ll take care of your luggage and help walk you through check-in when you arrive. We can’t wait to welcome your family to your most exciting and refreshing vacation yet! The gates will open at 3:30pm, and our energetic staff will be ready to walk you through check-in, take care of your luggage, and introduce you to the director. 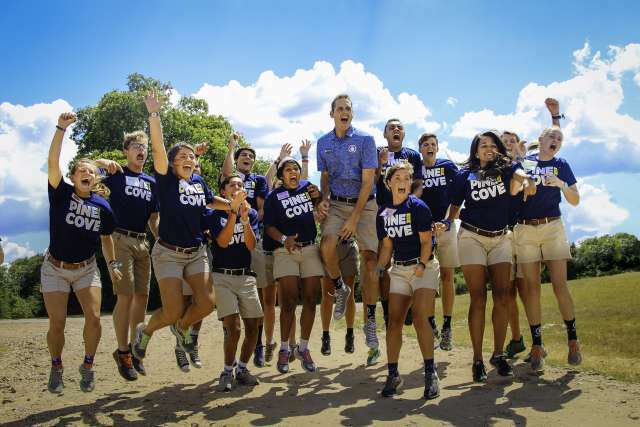 We’re so excited for you to join us at Pine Cove this summer! Gates open Sunday at 3:30pm. So long, farewell! It’s time for us to say goodbye after a week filled with good ol’ fashioned family fun! We’ll feed you a delicious breakfast Saturday morning and send you off with a final word of encouragement from the director before you go. We call it “Opening Day,” but it should really be called “Cheer Your Socks Off and Jump Up and Down Because Campers Are Here Celebration Day!” We can’t wait to welcome you and your camper to a week of non-stop fun and excitement! Our gates won’t open before 3pm, but feel free to show up early to get a spot in line. We’ll take care of your luggage and help walk you through check-in when you arrive. Our staff will be eagerly waiting to greet your camper every morning at 9am (beginning 10 minutes before). On Monday, please come inside to receive your unique Pick Up Code for your camper. You can drop your camper off curbside the rest of the week! Turn in all labeled, not-expired meds in their original container to the nurse. Loose pills are not accepted. Read more on meds. Don’t miss out on tagged photos - make sure your camper wears their wristband! Our packing list will tell you exactly what to bring when you come to camp! Meet us inside with your Pick Up Code at 4pm for camper pick up. Campers will only be released to those with a Pick Up Code. Join us Friday for a special celebration of your child’s week of camp through songs, a brief message from the director, and a time of character recognition for your camper! You won’t want to miss this! If unable to attend, you may pick up your camper at 3:45pm or 4:45pm instead. 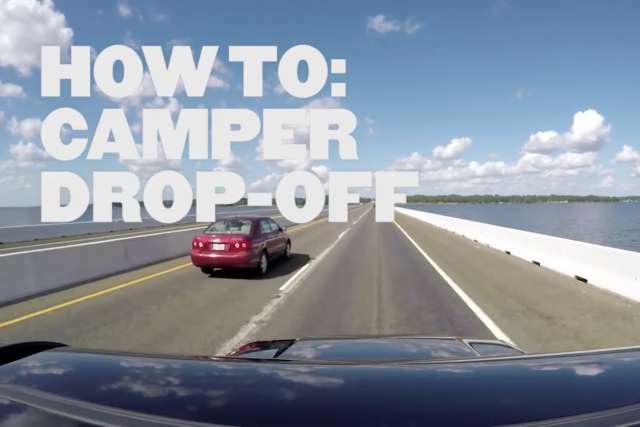 Campers may not be picked up without a Pick Up Code. Get your camp swag! Open everyday but Monday. Only cards accepted. A mini Pine Cove party for parents, special recognition for campers! Join us Friday at 4pm! Still have a few questions? That’s ok.